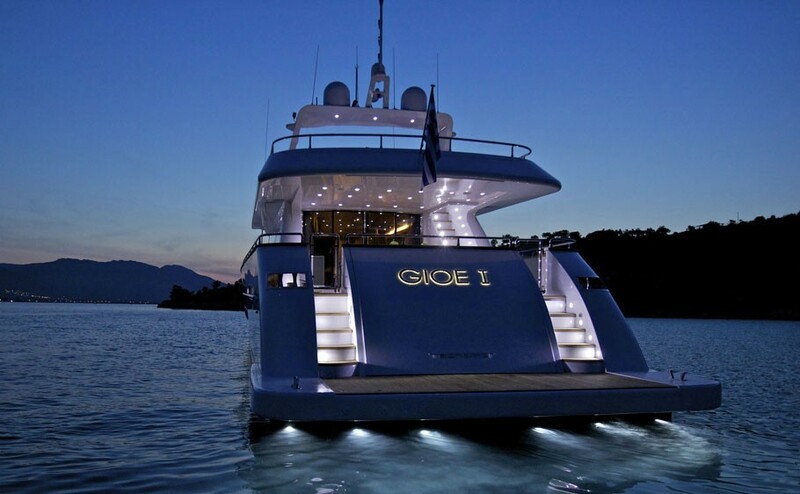 GIOE I is a luxury Technomar motor yacht launched in 2009. 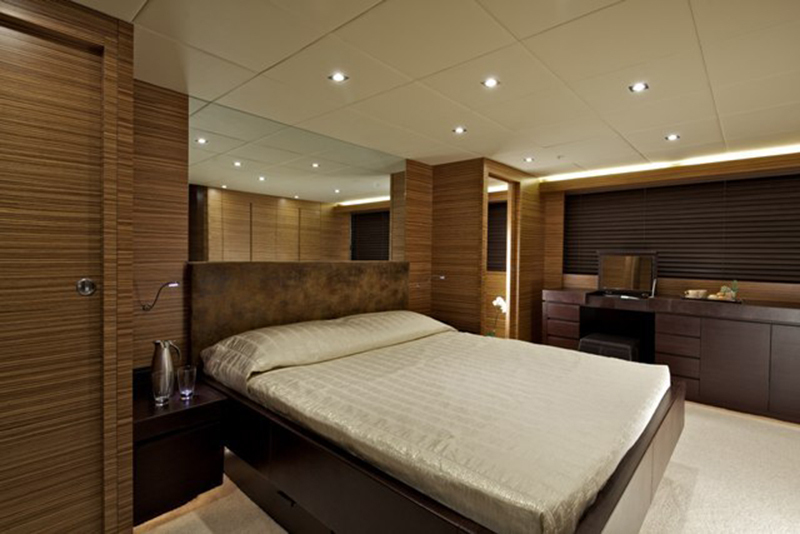 GIOE I is based in Greece year round and can accommodate a maximum of 12 guests in 5 Cabins. 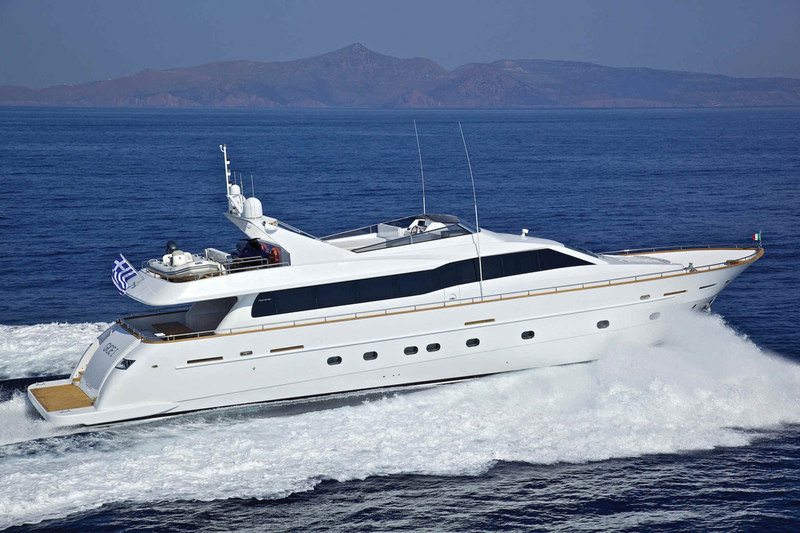 GIOE I offers her guests the perfect combination of speed and luxury and is able to Cruise at 26 knots. 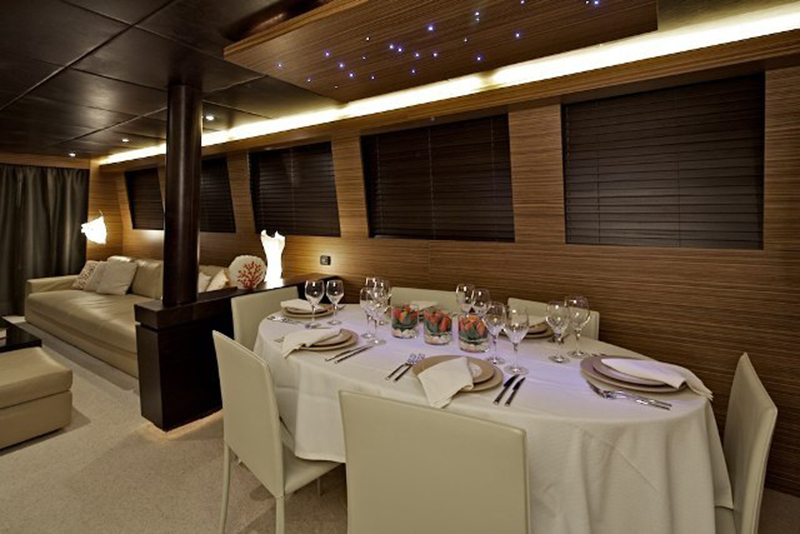 Luxury Greece based motor yacht can accommodate 10-12 guests in five cabins including One Master, one VIP, one double and two twin cabins, each with Pullman berth (the twin cabins have Pullman berths which are ideally suited to children). 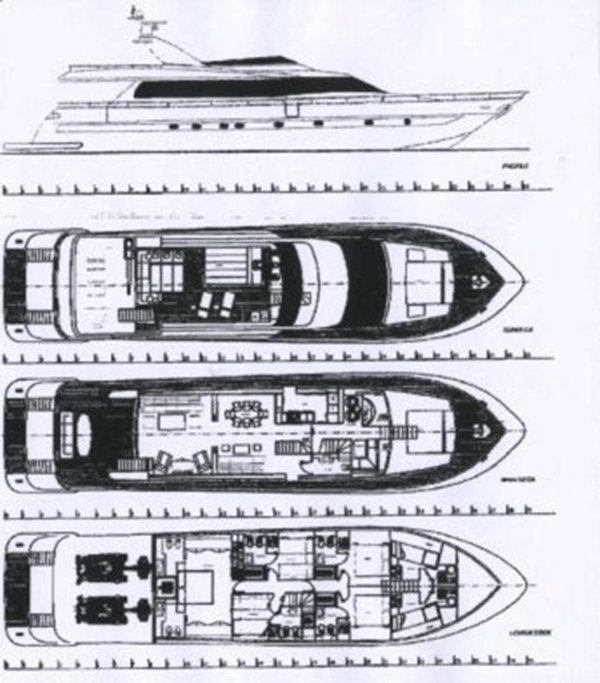 2 GPS Navigators, Two VHF, Radar, GYRO, Navtex, Autopilot, Depth Sounder, Fire & Smoke control system, Cameras Aft & E/R, Emergency Fire Pump, Inter-Comm, SAT Tel/Fax/TV, Laptop, Computer in Wheelhouse, Internet Access (GSM & GRS flit 33 connection), WIFI, and Printer. 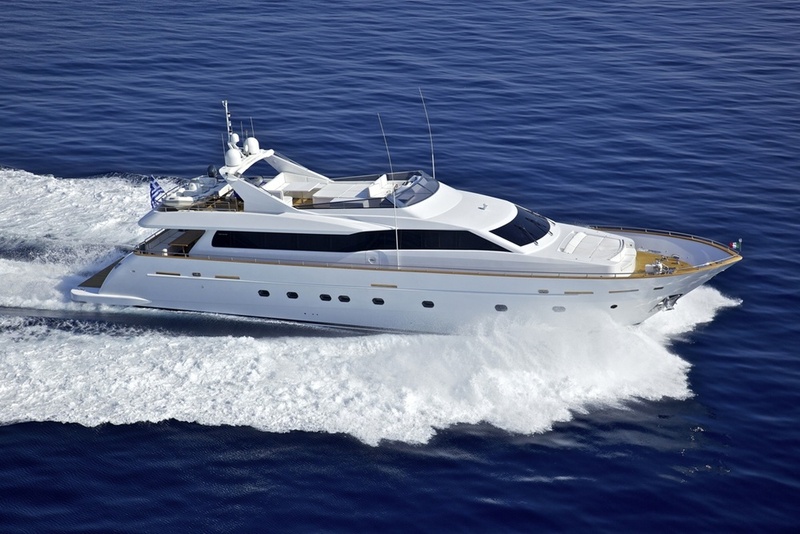 Luxury Motor yacht Gioe I has the following Tenders & Toys: Novamarine 5.30m tender with 60HP Yamaha outboard, Waverunner, Water skis, Fishing gear, Snorkelling Equipment. 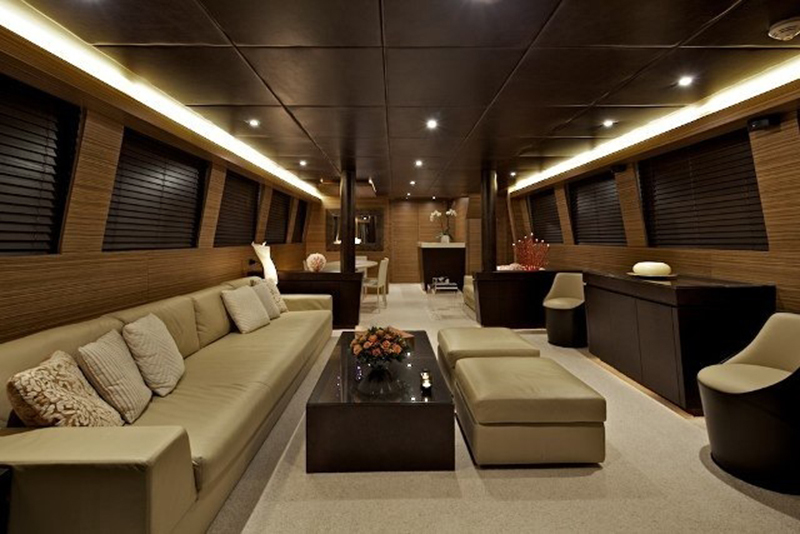 The yacht also has the following Communications on board: GSM Phone, VHF, Laptop/Internet.